In 1863, the State of New York granted a charter under the name of the Syrian Protestant College. 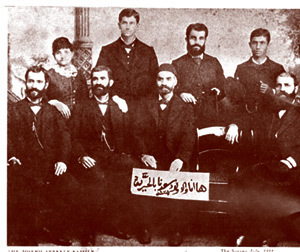 The college opened in Beirut with its first class of 16 students on December 3, 1866. Before Hollywood, America came to the Middle East as Protestant missionaries. In 1820, the American Board of Commissioners and Foreign Missions sponsored many missionaries to the Middle East, and the Far East among other regions. This new evangelical approach was in great contrast to the predecessor European Crusades. For over thirty years, the dedicated missionaries encountered diseases, suspicions and the challenges of being in a foreign country. Nevertheless, they established schools and hospitals wherever they went. Their burial sites testify to the work and love they shared with the Syrians. When the Civil War ended America was in construction mode. The house that was once divided needed mending now. This was the era of reconstruction. 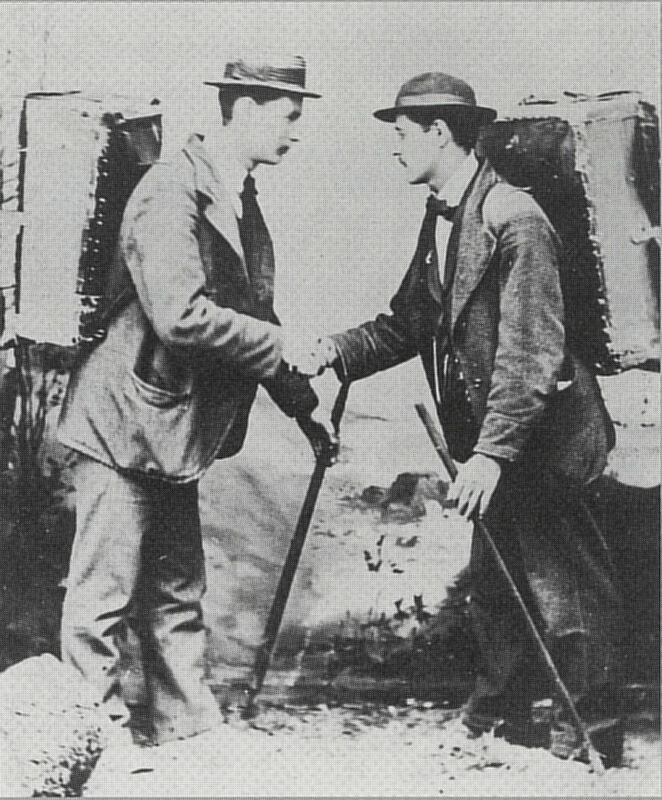 Irish immigrants provided the muscle for building railroads and canals. Italians were noted for their diligence and sobriety as workmen. The Japanese migrated to Hawaii, and the Chinese, who had come for gold in California, wound up creating the Western leg of the railroads. The image of America during the nineteenth/early twentieth centuries was primarily conveyed through missionaries to Christians in Syria. As a result, most of the first wave of Syrian immigrants were Christians. Another reason was that in order for Muslims to leave their Turk-governed homeland, they had to complete or become exempt from mandatory military service. Syrians excelled in buying and selling, as these traits had been in their blood for centuries. Living at the cross-roads of civilizations, Syrians had always served as the link between East and West, and that connected them to diverse products and merchants. Marketing became their art. Al-Hamidiyeh in Damascus was built in 1780 and is considered the most famous souq (bazaar or market) of the Middle East. It is a covered street about 2000ft (600m) long and 50ft. wide, and about two-stories high. Its shops offer famous Damascene textiles, leather works & antiques, Persian rugs, locally made staples of life such as kitchen equipment and shoes, and many imported products. In today’s terminology, Americans would view this as the world’s oldest mall. Syrians from Beirut, Damascus, Zahle, and Aleppo came to America because they saw in America the promised land for their marketing skills. They usually began their lives in America by seeking other Syrians – friendly faces in an unfamiliar land. They quickly learned how to greet, where to travel and when to request help. They also learned the value of American currency. And then they hit the road carrying their peddling bags on their backs. Traveling first on foot and later by a horse, a wagon or an automobile, peddlers were welcomed into the homes of Americans. Men often did not like them because, after all, they were the earners of the money that their wives were spending. The wives, however, loved the convenience of home shopping. Peddlers usually sold items such as needles, ribbons, clothes, lace, scissors, underwear, stockings shoes, table cloths, bed linens… etc. If they didn’t have what a customer needed, they would go back to their suppliers and bring it on their next trip. Syrians flocked to New Orleans and New York. In 1875, New Orleans had a “thriving” Syrian community of up to 500, with a hotel owned and run by Syrians. In New York, Washington Street was dubbed “Little Syria“. Many of its stores were owned and operated by Syrians. A New York tour guide is looking to get landmark status for the former St. George’s Chapel at 103 Washington St., foreground, and hopes that one day it will be part of a Little Syria historic district in recognition of the Arab-American population that lived there in the late 19th and early 20th centuries.